Content for social media is typically ongoing work with the objective of supporting sales and increasing awareness, followers and engagement with your audience to strengthen your brand position and equity. In our work with social media, we engage your target groups in dialogue. We create customised social media content for them. We react when they write to us. And in particular when they write about your company or brand. Especially when the tone is negative. At Scandinavian Communications, you’ll receive help from our experienced team in order to create the exact combination of traditional, social media and digital marketing content, PR and communication that is right for your business – and your target groups. We also use social media influencers as levers to create stronger impact in your communications. 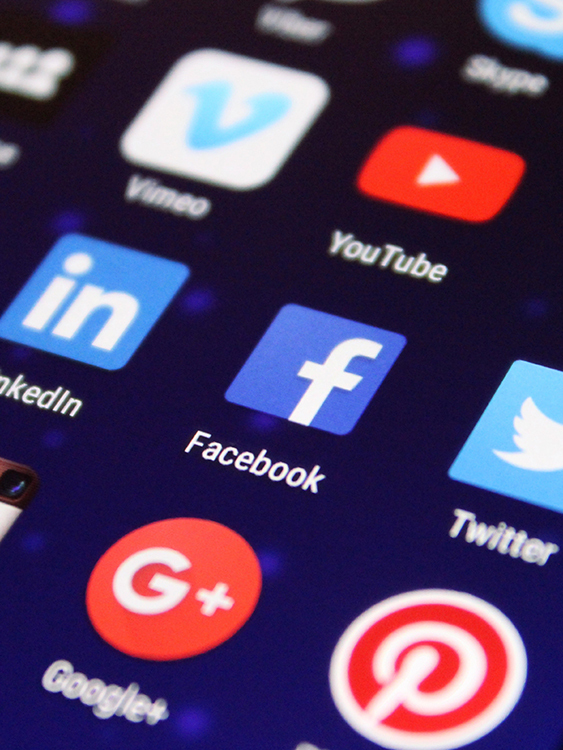 The use of social media in the Scandinavian markets of Denmark, Sweden, Norway and Finland differs – when it comes to nationality, ages and other types of different personas. We start by drawing up a SoMe strategy. Here, we will identify your target groups as well as offer monitoring and analysis of how you appear and are mentioned on various Social Media services today. And also which Social Media channels your various target groups prefer. Working professionally with social media is resource-demanding. As such, our starting point here is also that the results on the bottom line and the Return-on-Investment (ROI) are all-important. Your social media strategy can therefore also include you actively deciding to not have a presence on certain social media. And instead spending all resources on what provides the greatest return. The response from your target group can easily be measured with great precision on social and digital media. We always set KPIs (Key Performance Indicators) for our work with social media. This means that we set goals and specific indicators to measure the effect, ROI and business value of the social media activities in close collaboration with you. We conduct ongoing evaluations to ensure you the highest ROI on your social media budget. We also offers Social Media training for you and your Social Media team in a confidential setting through our digital simulation game “Social Media War Room”. Here, we work tactically with Social Media by staging realistic SoMe scenarios and acting them out in our closed server environment by for example simulating a crisis situation, the launching of a new SoMe campaign, a new product or just as basic training before you start working with Social Media Marketing in earnest. In the Social Media War Room, we have up to 10 participants per game that have different roles and profiles. Everything is customised to you – and is completely identical to the reality you will encounter on for example Facebook or Twitter.